★ PXR 'Poké-Valentine' event 2019! Would you like to show someone you care this Valentine's Day? What good timing you have! With this event, you can send your friends at PXR a pokémon that appears in their postbit under their avatar! This cute pokémon will follow them around for the rest of the month, reminding them that there's some PXR member out there who thinks they're pretty awesome! You can also include a note with your pokémon, which will appear when you hover over the icon in the postbit! Plus, you have the chance to earn two tokens* just for joining in! Token prizes will be given out after the event! To sign up, you just need to send a PM to me with which pokémon you would like to represent you. Do not post here. This is anonymous! Please pick a pokémon sprite from the Battle Trozei sprites found here (no Alola pokémon) OR the Pokémon Shuffle sprites found here (includes Alola pokémon). You can pick any pokémon sprite from that list, but once that sprite is taken, no one else may claim it. The list of claimed pokémon sprites is below. You may not switch sprites. You MAY pick the same pokémon that someone else has already claimed, provided it's a different sprite, such as someone using heart-eyes pikachu, and someone else using gyarados pikachu. You may make your own sprite as long as its dimensions are 45x45 pixels and it is a pokémon. If you do this, I recommend sticking with the same style! You may send a message to ONE person per day! Simply PM @Suicune's Fire with the username of who you would like to send your message to, along with a short (maximum 150 characters), anonymous note for that person. To make it easier for me, please include which pokémon you claimed in your PM also! I will add the pokémon and messages to the users' postbits (under their avatar) so that everyone can see! Hovering over the pokémon with your mouse will let you see the attached note! They will remain in the postbit until the end of the month and then relocated to profiles so you can keep them forever! Additionally, for one day only, on February 14 (in your own timezone), you will be allowed to send out multiple messages - as many as you like! The only condition is that you must send them all within a single PM. So start preparing your messages! :D This will be the last day to send out a Valentine for the event, so remember to get yours out there! NOTE: "<3" does not work in messages as it messes up the coding! If you want to include a heart, please use this symbol instead: ♥ It makes it a lot easier for me if you do this when PMing me, rather than me having to track down the symbol every time I'm copying and pasting heaps of messages! D: Thanks in advance! ★ confused? here's an example! I pick flareon as my pokémon. I wish to send Pokemon Trainer Sarah a note saying "You're awesome!" This note gets added to her postbit along with a little flareon sprite. Every other message I send out to different members will be accompanied by a flareon during the event, but no one else will know the flareon is me! :D Sneaky, right? ★ join in now & spread the luv(disc)! CLAIM YOUR POKEMON NOW BY PMing SUICUNE'S FIRE!!! Join any time! You may now send messages (one per day in your own timezone)! Remember to follow the rules above and have fun! Anyone may still join in anytime until Feb 14 by claiming a pokémon and sending messages! Feel free to use this thread to discuss/ask questions/guess your secret admirer but don't reveal which pokémon you claimed!!! Ah man I’m so excited for this! This is always one of my favorite events of the year! Hahaha you can certainly try! True, but what really stinks is that my all-time favorite pokemon (right down to it being the shiny version) is available as an option, but it will give me away instantly, especially to said 99% person. 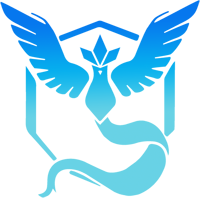 The only obvious pokemon that springs to mind that'd clue me in that it's you is the dratini in your avatar. XD But hey you can choose whatever you like, even if it's obvious! Dibs on the Pikachu sprite! ...Not going anonymous, then? XD Also there are three-billion pikachu sprites haha. I may post, but i dont usually participate. I tell peeps i love em straight up.